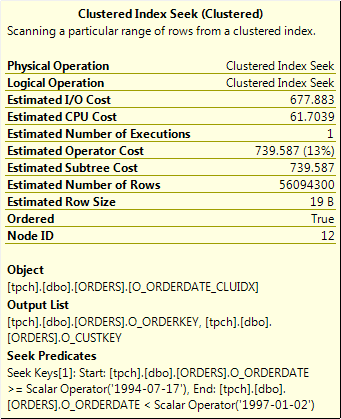 How many people are familiar with the Date Correlation Optimzation feature introduced in SQL Server 2005? How many people have actually used it? and found it useful? 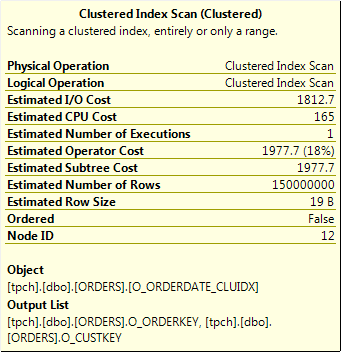 This was clearly achieved as detailed in Large Query Performance and other sources, and by published TPC-H benchmarks. SQL Server 2005 introduces the DATE_CORRELATION_OPTIMIZATION database SET option. This option improves the performance of queries that perform an equi-join between two tables whose datetime columns are correlated, and which specify a date restriction in the query predicate. Tables whose datetime column values are correlated, and which can benefit from enabling DATE_CORRELATION_OPTIMIZATION, are typically part of a one-to-many relationship and are used primarily for decision support, reporting, or data warehousing purposes. When the DATE_CORRELATION_OPTIMIZATION database option is set to ON, SQL Server maintains correlation statistics between any two tables in the database that have datetime columns and are linked by a one-column foreign key constraint. By default, this option is set to OFF. 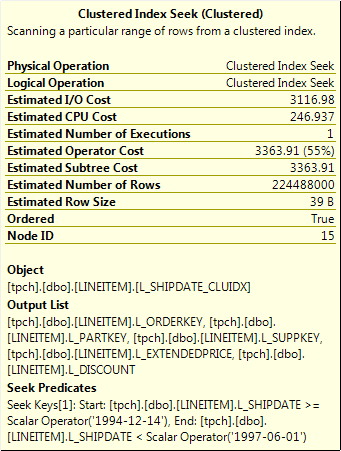 SQL Server uses these correlation statistics together with the date restriction specified in the query predicate to infer that additional restrictions can be added to the query without changing the result set. 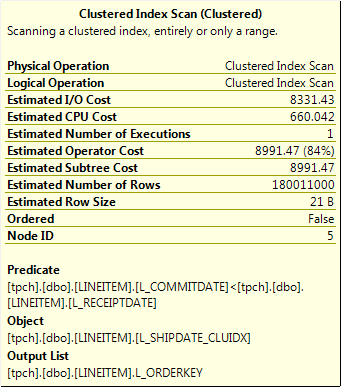 The query optimizer uses these inferred conditions when it chooses a query plan. 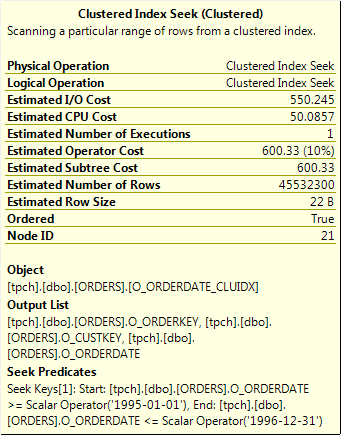 A faster query plan may result, because the added restrictions let SQL Server read less data when it is processing the query. Performance is also improved when both tables have clustered indexes defined on them, and their datetime columns for which correlation statistics are maintained are the first or only key of the clustered index. In the TPC-H benchmark, the maximum difference between O_ORDERDATE and SHIPDATE is 121 days, so technically for query 3 we could have appended the additional SARG below. 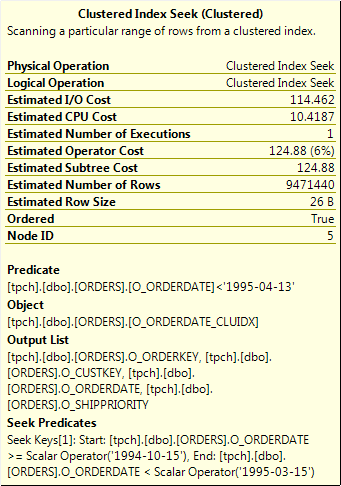 Below is TPC-H Query 3, the top plan points to the database without date correlation. The plan with correlation enabled. 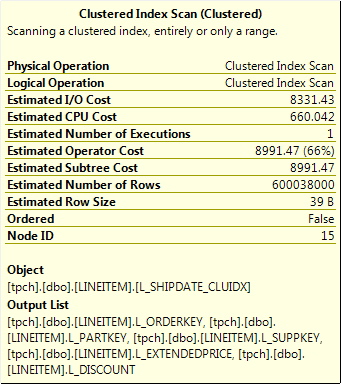 Notice the for the ORDERS and LINEITEM table, only the explicity stated SARG is applied. 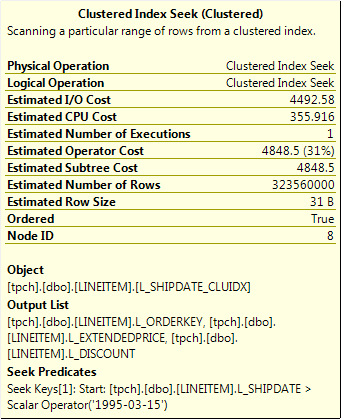 Below are the details for the correlation enabled database. Notice that O_ORDERDATE < '1995-03-15' implies L_SHIPDATE < '1995-09-15' and L_SHIPDATE > '1995-03-15' implies O_ORDERDATE > '1994-10-15'. In fact, the implied restriction should be 121 days or 4 months, but the correlation allowed for a 5-s6 month range. 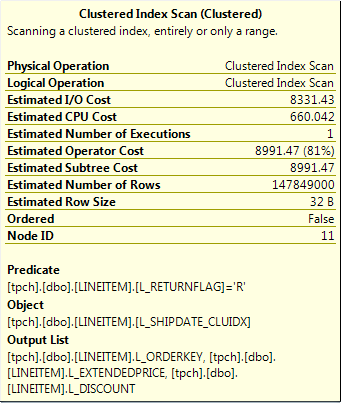 Notice the for the ORDERS the explicity stated SARGs are applied, no SARG is specified for LINEITEM, hence the table scan. 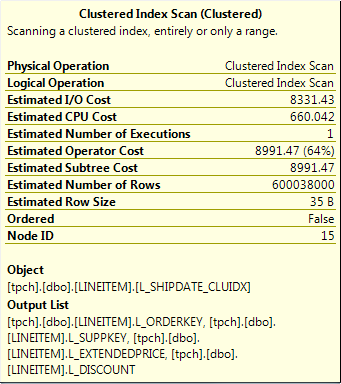 Below are the details for the correlation enabled database. 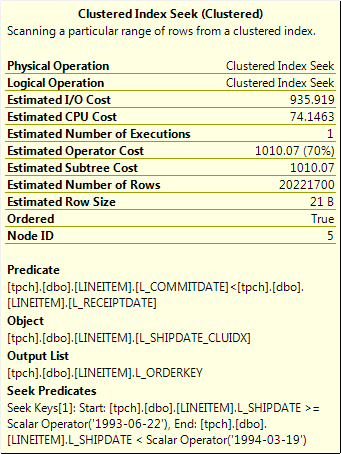 Notice that O_ORDERDATE < '1995-03-15' implies L_SHIPDATE < '1995-09-15' and L_SHIPDATE > '1995-03-15' implies O_ORDERDATE > '1994-10-15'. In fact, the implied restriction should be 121 days or 4 months, but the correlation allowed for a 5-s6 month range. 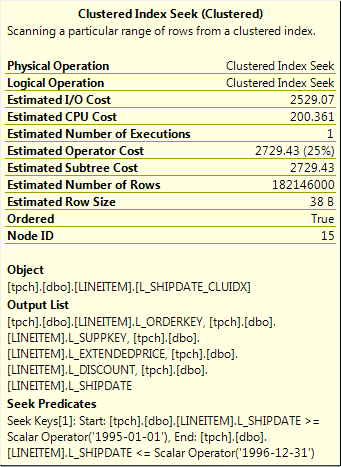 The date range on LINEITEM below is implied from the date range in ORDERS. 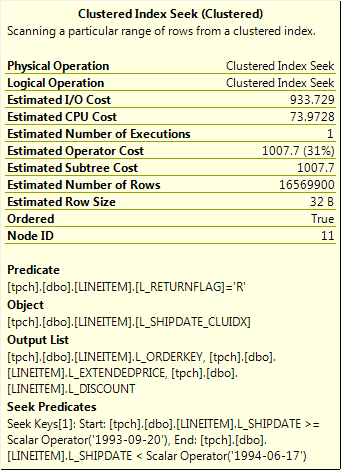 The table below shows the TPC-H SF100 non-parallel execution plan cost without and with Date Correlation.